Interested in becoming an AMTA Student or Professional member? Click to find out more about the benefits, options and cost of AMTA membership. Click to find out more or become an AMTA member. Want to know more about music therapy opportunities in the New England Region and beyond? NER-AMTAS Executive Board Position for the 2019-2020 year? This website is used to help NER-AMTAS strive to increase student participation, promote communication between members, and create a positive union of students within the region. NER-AMTAS develops, fosters, and promotes cooperation with the New England Region of the American Music Therapy Association, herein referred to as NER-AMTA, and other related professional organizations in activities that concern the music therapy profession and enhance the education of NER-AMTAS members. 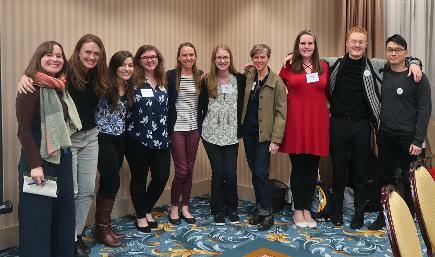 NER-AMTAS is comprised of all students attending schools within the American Music Therapy Association (AMTA) approved music therapy programs of the New England Region, including the states of Connecticut, Maine, Massachusetts, New Hampshire, Rhode Island, and Vermont. and Lesley University (Cambridge, MA). All students are welcome! Pizza will be provided.